A big challenge many people face when hitting the road is finding a way to stay connected to the internet as they travel. 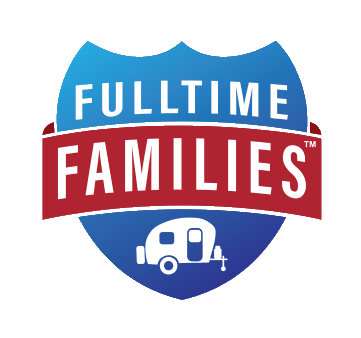 Obviously, having RV internet access is important to most people, especially if they work online. A person’s ability to access the internet along the way can often be a determining factor in whether or not they hit the road at all as a full-time RVer. Luckily, there are ways to access the internet while RVing fulltime. The options for doing this are not as straightforward as getting internet in a sticks-and-bricks home. 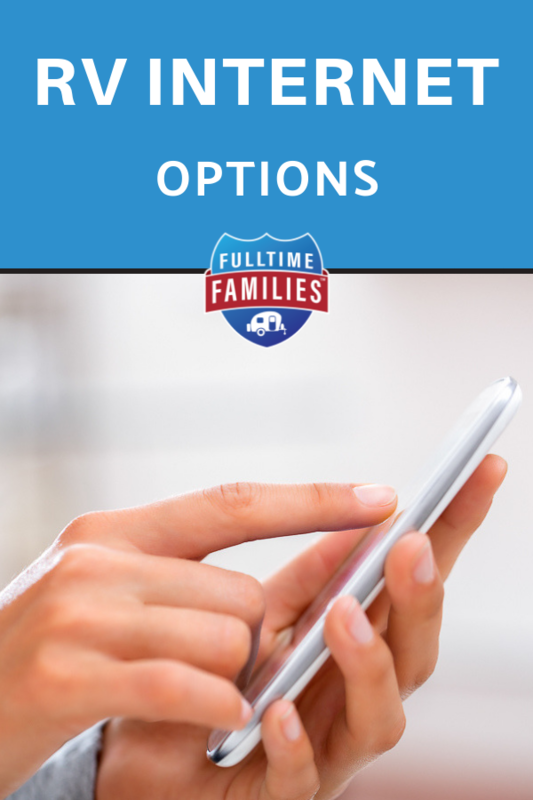 However, once you find an option that works well for your family, you’ll be free to roam without sacrificing your internet connection. Of course, finding that perfect solution requires research. That’s why you’re here today. 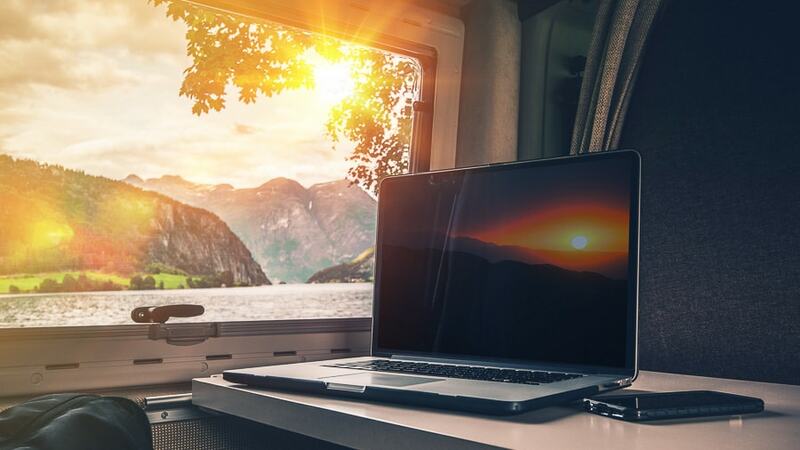 In this article we will discuss the options RVers have for accessing the internet on the road, and how to find the option that’s right for you. Each of these options has pros and cons, and the one you choose will depend on your travel style and what you use your connection for. Let’s begin by discussing the option of taking advantage of Wi-Fi connections in your area. These might be free internet connections from a coffee shop or library, or you might use a paid connection such as the internet plans many campgrounds offer. Either way, these outside signals tend to be very weak when you wander too far from their source, so connecting in your RV is not always possible with the usual equipment. Fortunately, there is a way to pull these signals in and amplify them, making them fast and usable even for things like streaming. This article explains how this can be done fairly easily and inexpensively. The setup described in it will work to pull in signal in a great many locations, but you should be prepared for the fact that this method likely won’t work in very remote places. The second option is to pay for a data plan from a cell carrier. This will allow you to access the internet anywhere there is a cell signal. Unfortunately, this isn’t everywhere (yet). However, there are carriers that offer more coverage area than others, as well as carriers that work better in certain areas than others. To find one that covers all (or even most) of the places you plan to visit, try checking out coverage maps on each carrier’s website. Another thing to consider is cost. Data plans are constantly evolving, which makes it next to impossible for us to maintain an up-to-date list of the best plans. That said, it isn’t too difficult to do some research and find the best bang for your buck. Click here to check out The Connected RV. The ultimate goal is to get as many gigs of data as possible without breaking the bank. Be sure to check out a phone, tablet, hotspot, and in-car plans. The trick is reading the fine print. Throttling — Many “unlimited” plans slow customers to unbearable speeds once they hit a certain threshold. This is called throttling and you want to watch out for it. Data cap — A data cap is exactly what you might imagine: a cap on the amount of data you may use. Once you hit that point, you will be paying extra for additional data. Network management — Some plans are always under network management, others are only under network management once the user uses a certain amount of data. Network management is different from throttling in that the user isn’t automatically slowed down. Instead, they are given lower priority if they happen to be in an area where many customers are trying to use the same network. Tethering — Tethering is the act of using a phone or tablet as a hotspot. Some plans don’t allow this and only mention it in the fine print, so be sure to look for it. Other important things to consider are special perks that some carriers offer. For instance, T-Mobile offers Binge On. This service allows the user to stream from most popular video and music services without using any of their monthly data. Obviously, this is a major bonus. Other carriers have different perks, so be sure to look into those as you make your choice. If none of the current plans seem appealing to you, you might consider leasing an old unlimited data plan. You see, there once was a time when some carriers offered truly unlimited data. Some people were grandfathered into these plans, and the lines are now offered up for rent. While most of these plans are now capped at 200GB per month rather than being truly unlimited, they do still tend to be an awesome deal for those who use a lot of data. Looking to lease a line? Check out Unlimitedville. 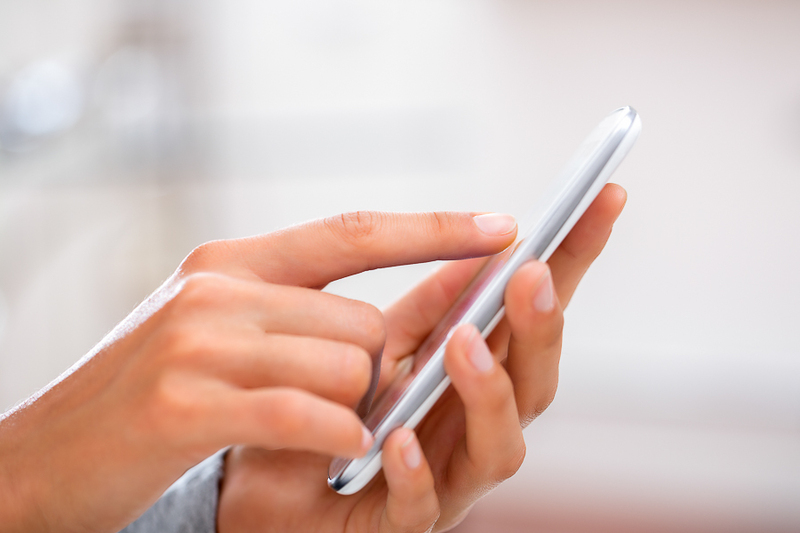 If you choose to use cell signal as your main source of internet, you’ll want to know that you’ll have a connection wherever you travel. If you stick to big cities you shouldn’t have any issues at all, but those who boondock or stay at campgrounds in the middle of nowhere will want to keep an eye on this while planning their travels. Enter Campendium. This app is the very best way to search for campgrounds and boondocking locations based on available cell service. Sure, you’ll have to make a small in-app purchase, but trust us when we say it’s well worth it. Sometimes a place you’re parked will have a very weak signal. This is unfortunate because it makes everything you do online take much longer, and sometimes the connection is so weak you can’t even check your email or load a simple webpage. To combat this, many RVers use cell signal boosters. These nifty gadgets pull in cell signal and amplify it, giving you the strong connection you need to get things done. Some of the best cell boosters out there are made by WeBoost. This company offers a number of different gadgets, meaning you can pick and choose what works best for you. Finally, we must address the satellite internet option. Honestly, we only recommend this option if you spend the vast majority of your time boondocking in very remote locations with absolutely no cell signal. While a satellite can provide internet access no matter where you are, it has some major cons. The first of these cons is cost. Getting set up with satellite internet is extremely expensive, and the monthly costs can be pricey as well. Besides all of that, satellite providers tend to put limits on internet usage just as a cell carrier would. Finally, should anything such as trees, snow, or even rain clouds get in the way of your satellite, your connection will be poor, meaning this isn’t always the most reliable solution. If you do wish to pursue the satellite option, we recommend contacting Connected RV to get started. Our best piece of advice when it comes to acquiring internet in your RV? Always have a backup plan. Most RVers have two different cell providers, and many have even more. Combine these with campground Wi-Fi or satellite and you should have internet access everywhere you could possibly want to take your rig.